Many individuals and businesses are in the event of suffering adversity of some kind, often state that they have an insurance cover which safeguards them from bearing losses due to an adverse incident. In order to ensure that an individual or business indeed has an insurance cover as per their claim, the said authorities investigate and set out to verify the same. In such a scenario Verification Forms are handed out to the insured parties which they must fulfill and submit so that the verification process can be initiated. 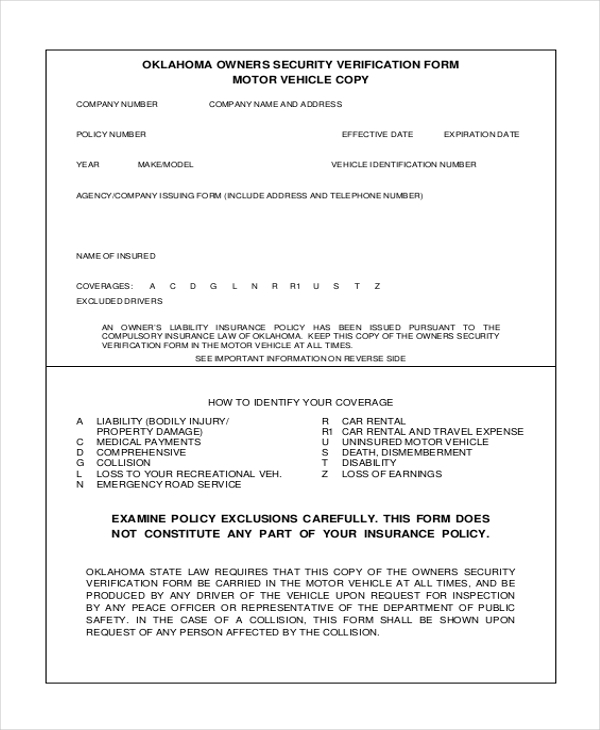 In case a supposedly insured individual falls prey to an accident which results in an injury, if the said person claims that he has an insurance cover for the same, the person needs to fill up an insurance verification form, wherein full details of the insured party along with an accurate description of the accident/injury needs to be provided. Furthermore, registration details need to be populated in the form. Keeping a check on an insurer’s insurance eligibility and benefits is a must for authorities. 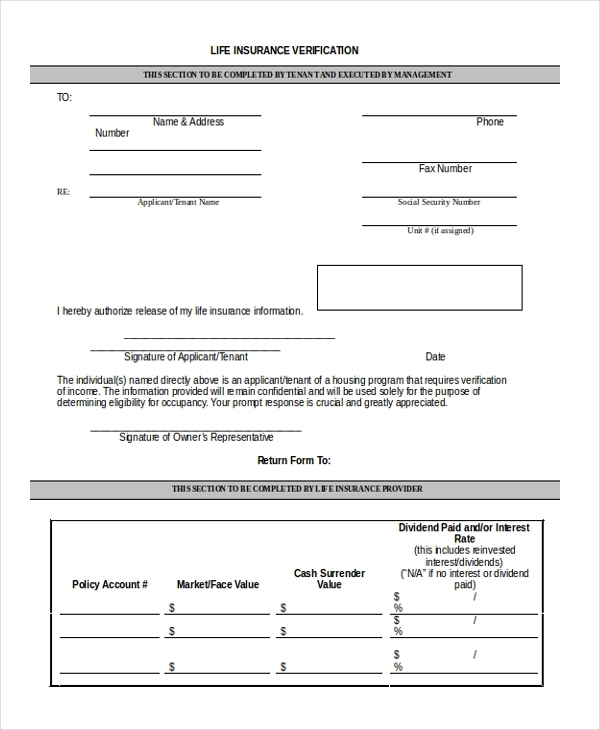 In case an authority or insurer are uncertain regarding the issue, the safest thing which must be done is to ask the insurer to fill up an insurance benefit verification form, once processed the concerned authorities will review the form and contacts the insurer’s insurance company for confirmation. 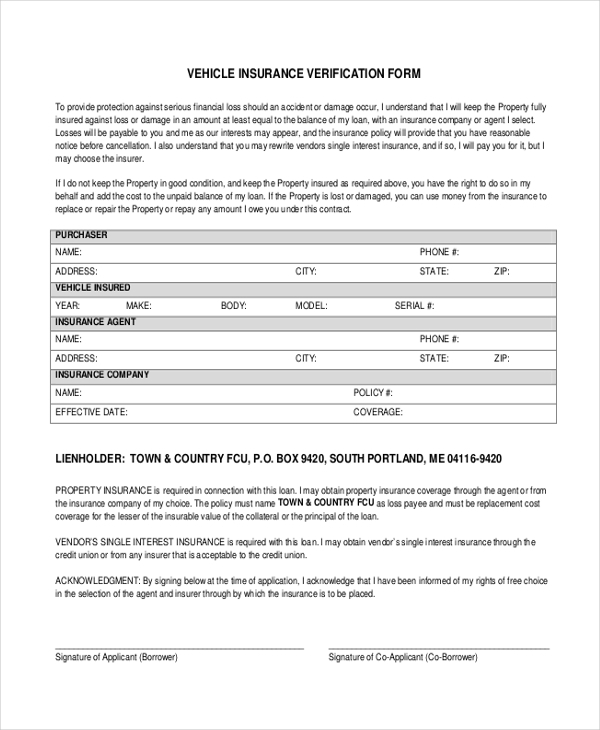 An insurance security verification form is used in scenarios wherein authorities would like to check on the extent of eligibility and benefits about their validity in an insurance policy. The insured person needs to render all the required information in an insurance security form, and then the same would be sent to the insurance company’s address. If an individual is seeking a dental checkup and claims the expenses for the session covered in their dental insurance, authorities can easily verify whether or not the claim is true. 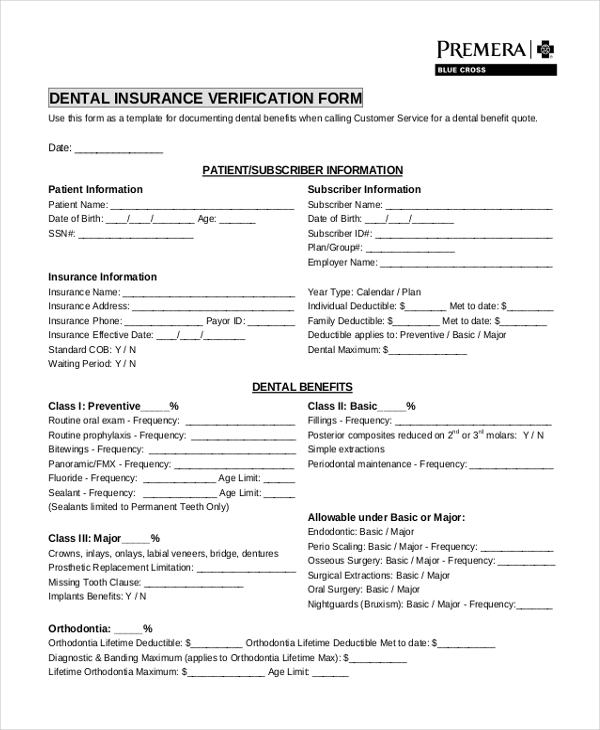 This can be done by asking the patient to fill up a dental insurance verification form, and the same will be forwarded to the insured patient’s insurance unit. Sample insurance verification forms are easily gettable on the Internet. There are hoards on websites which provide free samples. The sample form can easily be edited and revised depending on the requirement of the user. Patients who come in to receive chiropractic treatment are often unsure about their eligibility cover and its benefits. Moreover, it’s not a good idea to seek the information from the patient themselves. 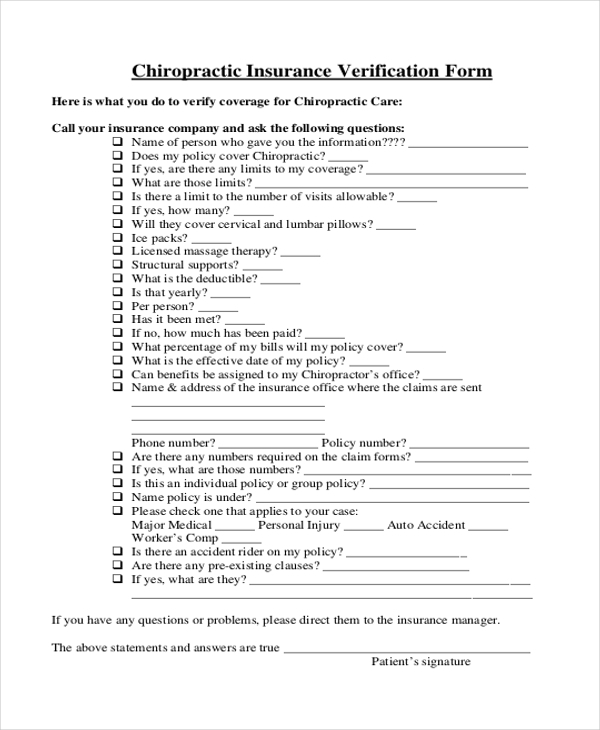 A better way to verify is to use a chiropractic insurance verification form, wherein the assigned person or a patient must populate the fields with relevant details and the chiropractor can have the same reviewed and verified. If an individual has met with a road mishap and is uncertain about the insurance details for the vehicle involved, the victim can furnish the details of the vehicle and the accident in a vehicle insurance verification form. The concerned authority will process a search and determine the insurance status of the said vehicle. A healthcare insurance form is useful in situations when an individual needs to be administered medical care and has also vouched that he has a healthcare insurance cover which will take care of the expenditure. In this case, the medical authorities issue a health insurance verification form wherein the insured person or their guardian must provide all the relevant information in the form, and it will then be processed for verification. 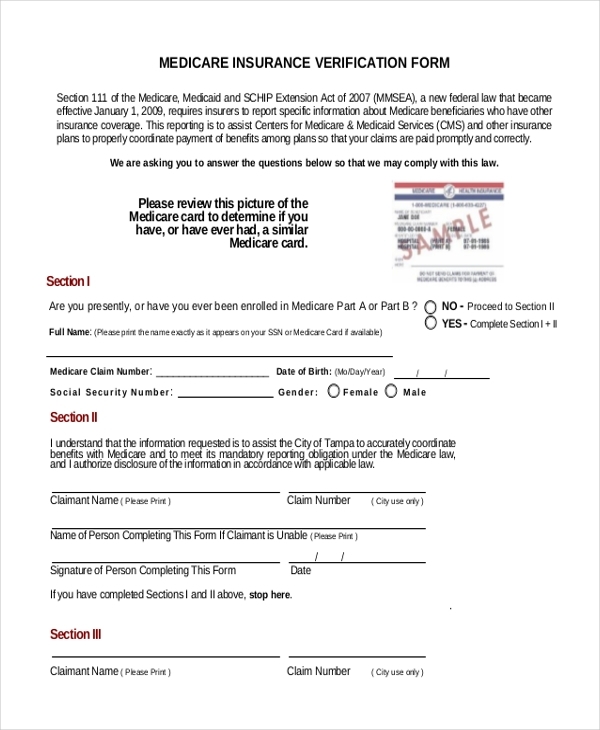 A medicare insurance verification form makes itself useful in times when an insured individual meets with a medical emergency and claims that he has a medicare insurance cover. 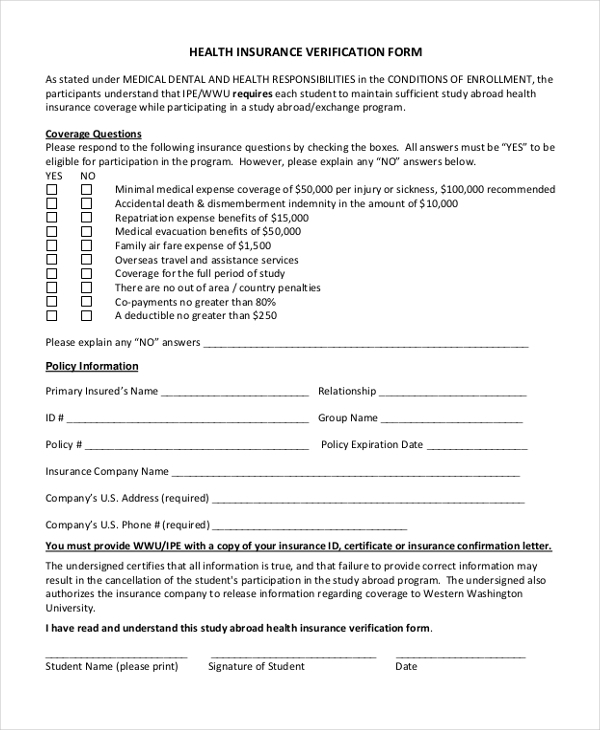 In this case, the healthcare facility asks the beneficiary or their guardian to populate a medicare insurance verification form wherein the specifics of the insured person along with other relevant details. The form will be put to review and necessary action will be promptly taken. 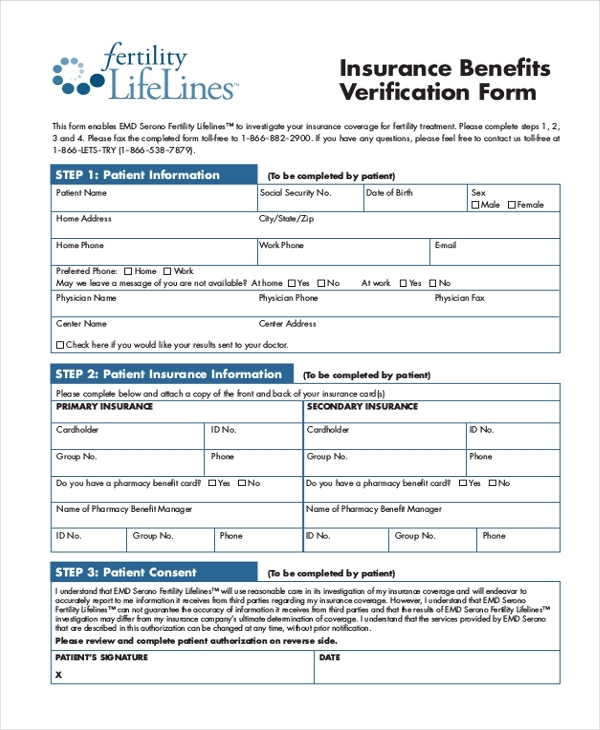 A life insurance verification form is handy to use in a situation when an insured party claims that they have a life insurance cover and that their insurance provider will take care of the expenses. In the verification form, the insured party must give out all the details, on the basis of which verification process will commence authenticating whether or not the insured person is eligible for services or not. Insurance is a tricky thing and it’s sometimes difficult for insured parties to be mindful about the validity and eligibility of benefits which they can enjoy under the insurance policy. In case there are uncertainty and service providers would like to confirm, in such cases, insurance verification forms are put to good use. Users are supposed to insert all the specifics of the insured party and send the document for authentication. You may also see Wage Verification Forms. The target audience of insurance verification forms usually consists of insured businesses and insured individuals that may not be confident about the validity or eligibility of their insurance policy. In order to steer clear of the confusion, the best bet would be to use an insurance verification form and establish a confirmation regarding the status of an insurance claim. 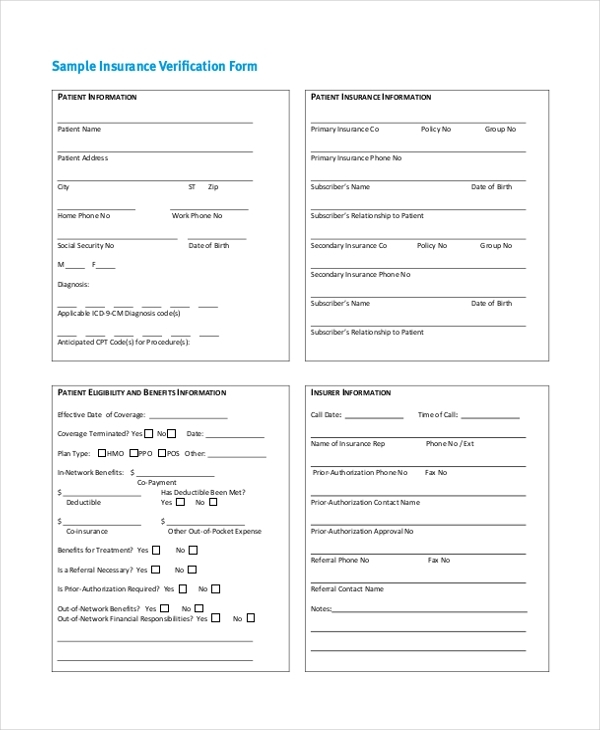 Samples of insurance verification forms are easily available on the Internet. There are websites galore which facilitate users to download, edit and customize insurance verification forms to match their needs and preferences. Ideally, these forms are available in MS Word, MS Excel, and PDF format. You can also see Work Verification Forms. The availability and use of insurance verification forms is a good news for insurance companies, service providers and claimants alike. Thanks to these forms, the verification process can be handled in a methodical manner and moreover, there is a transparency which is exercised between the parties involved.